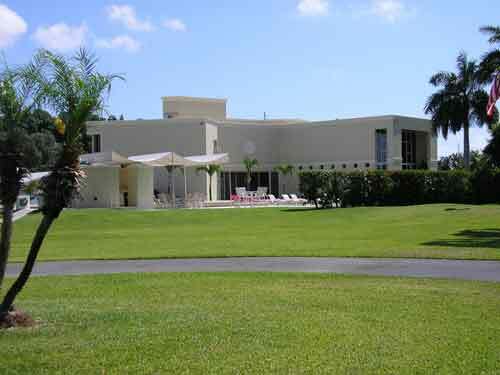 Gated and surrounded by beautiful coral wall, this gorgeous 6+ Acre property is simply amazing. 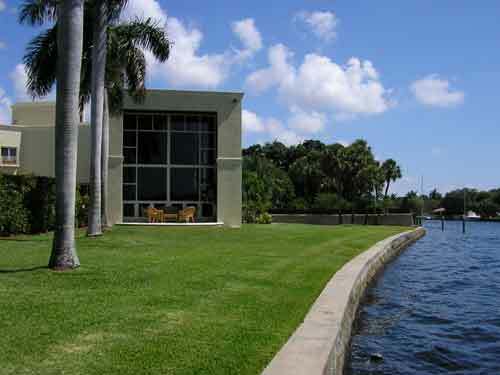 With privacy fencing and ficus hedges, this property provides all the privacy you will needs. With 237 trees, tropical birds and over 1000 feet of waterfront there is always something to be admiring. There is also dockage for over 200ft Yacht. The Fortress is a 7000 square foot mansion with 30 foot ceilings, housing a custom movie theater, baby grand piano and fireplace. With an outdoor super sound system, you and your guest can enjoy the pool, cabana and spacious tiki hut. This amazing home has been featured on 60 minutes & Fortune Magazine, but you should see this beauty in person. Any accommodation can be added to the The Fortress accommodation. Maybe you would like to add a night out at a gourmet restaurant.